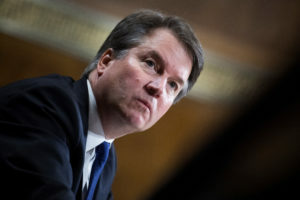 WASHINGTON — Chief Justice John Roberts is referring ethics complaints against new Supreme Court Justice Brett Kavanaugh to federal judges in Colorado and neighboring states. The judiciary’s rules allow members of the public to lodge complaints about federal judges. Merrick Garland, the chief judge of the D.C. Circuit, typically deals with ethics complaints, but he apparently stepped aside from complaints against Kavanaugh.